When to retire is a personal decision that you should base on factors such as your current cash needs, your health, and family longevity, whether you have other retirement income sources, and of course, your anticipated future financial needs and obligations. Remember, the average retirement will last for about 20 years, and Social Security benefits are typically adjusted annually for inflation to help maintain your standard of living. Maybe in deciding when YOU should take your retirement here is a Social Security Break Even calculator to help you decide. This spreadsheet is based on the Social Security rules for early and deferred retirement benefits in effect on April 2014. It applies to anyone who was younger than 70 as of that date. The first section calculates the Break-even age for any two ages entered between 62 and 70. The second section calculates the Break-even age for starting before 70 versus starting at 70. The third section calculates the Break-even age for starting Social Security before Full Retirement Age (FRA) versus starting at age FRA. The fourth section calculates the spousal benefit Break-even age. The spousal benefit is reduced for starting before FRA (unless one is a spouse caring for a "qualifying child"); it doen't increase for delaying after FRA. The spousal benefit reduction for the first 36 months under FRA is different from the earner's reduction so the break-even ages are slightly different. One that ignores the value of getting money earlier versus later and just compares total dollars received. One that takes the Time Value of Money (TVM) into account. This spreadsheet only looks at the benefits for one person at a time. It doesn't examine the impact of spousal strategies such as starting spousal benefit at FRA and then taking ones own benefit at 70. Break-even meaning: Break-even is the point where one would have gotten the same benefit by starting Social Security at the earlier age as at the older age. If one dies before break-even age, one would have been better off starting Social Security at the earlier age. If one lives past break-even age, one is better off having started Social Security later. You can enter your monthly benefit starting at Full Retirement Age - Social Security calls this your Primary Insurance Amount (PIA). That amount doesn't affect the Break-even ages, but if it is entered, the spread sheet will show your monthly benefit amounts for various starting dates. The amount entered is the earner's Primary Insurance Amount. The spousal benefit at FRA will be 50% of that. You can enter two ages to calculate the Break-even for starting at those two ages. You can also enter a number of months before FRA or before age 70 to calculate for something other than an even number of years. Methodology of the TVM calculation: What if you started to collect but instead of spending the money you invested it? The interest earned on this income would change the break-even time age as well. Another option. One might not start receiving Social Security until the comparison age FRA or 70), and instead loan oneself the equivalent amount as the reduced Social Security amount out of savings. Once one reaches the comparison age, one starts collecting Social Security at the higher amount and putting the difference between the higher amount and the reduced amount back into savings until one has paid off the "loan". None of the calculations explicitly takes the inflation indexing of Social Security payments into account. Data to enter: The areas to enter data for the calculations have a double line border. You need to enter your year of birth so that your Full Retirement Age (FRA) can be calculated. You can also enter the interest rate to use for the Time Value of Money Calculations. A break‐even analysis compares what you get in your lifetime if you pick different dates to collect Social Security. It’s a way to estimate your total payoff from retiring at an earlier date (with reduced monthly payments) and retiring at a later date (with higher monthly payments). In general, if you die before reaching the break‐even age, and you started collecting benefits at the earlier date, you come out ahead. If you live beyond your break‐even age, and you started benefits at the later date, you also come out ahead, because those bigger payments add up over time. Where you lose out is if you die before reaching the break‐even age (and you started collecting larger benefits at the later date) or if you die after your break‐even age (and you started smaller benefits at the earlier date). You should be aware of the break‐even approach, because it’s a common tool recommended by financial planners, and it can provide perspective. But it’s just one consideration. The more you care about how your benefits add up over a lifetime, the greater weight you may give a break‐even calculation. The more you care about ending up with the biggest monthly benefit, the greater weight you may give to delaying your claim for Social Security. Determine your full retirement age. For example, say your full retirement age is 66. Determine your full retirement benefit at that retirement age by looking at our Social Security break even calculator. Determine your benefit at 62 by looking at our Social Security break even calculator. Figure out how much you would take home in the 48 months between age 62 and your full retirement age (66) if you start collecting at age 62. 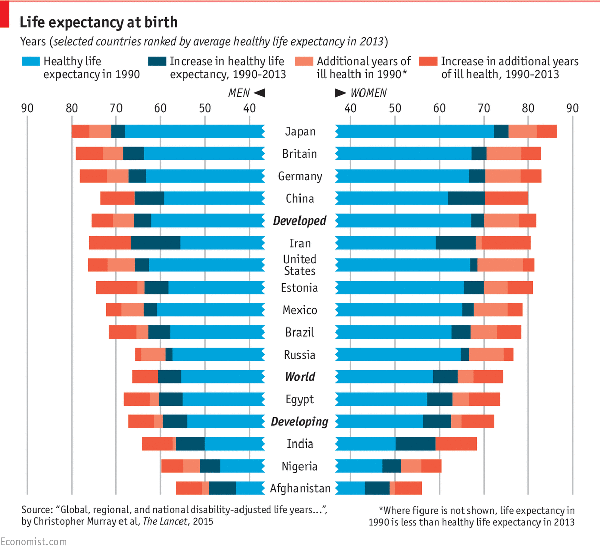 Now look at how many months you would have to survive beyond age 66 in order to break even. In some examples you will see your break even age is 78 years old. So if you live past age 78, you'd come out ahead by starting your benefits at the full retirement age of 66. If you’re comparing retirement at 62 with full retirement at 66, your break‐even age is typically around 77 or 78. In other words, if you die earlier, you could end up with more money by claiming early retirement benefits. If you live longer, you could be better off taking your benefits at 66. If you’re comparing full retirement at 66 with delayed retirement at 70, your break‐even age is typically several months after your 82nd birthday. In other words, if you die before 82 or so, you could end up with more money by beginning benefits at 66. If you live past 82, you could be better off delaying your retirement benefits until you turn 70. These numbers are only estimates and do not include cost‐of‐living hikes, which could make the break‐even age come earlier. But they can add perspective to your claims decision. What’s most important is for you to consider how long you may live and how Social Security income will fit into the picture. Not Sure how long you will last? 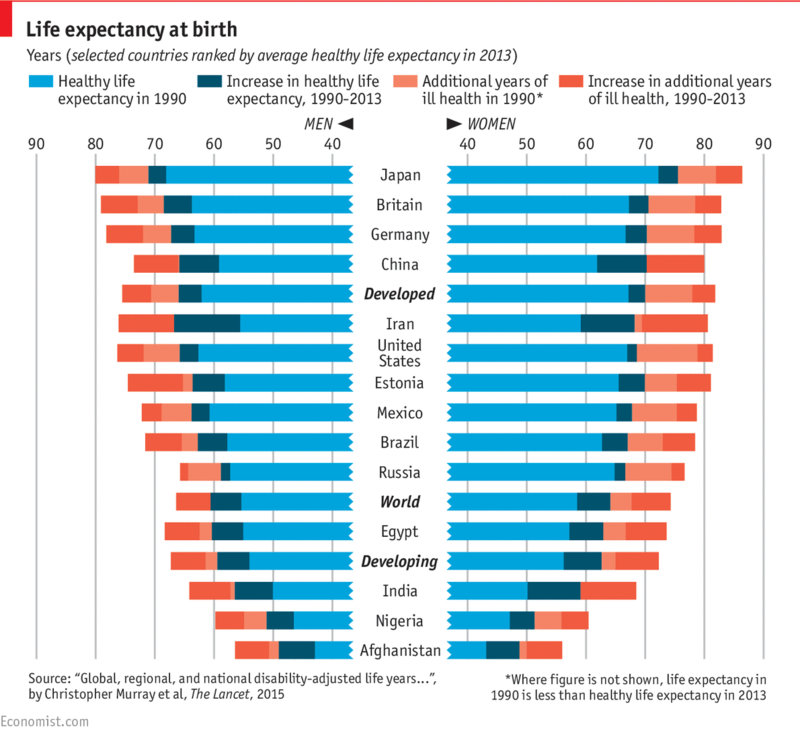 Here is a chart that will give you the average life expectancy in the world as of 2013.